SmartMaxx solar hot water controllers are the brains of your solar hot water system. Each solar controller operates on differential temperature, running your solar hot water system when heat from the solar collectors is available (and needed) and leaving the system off when heat is not available or needed. Our solar controllers are simple to operate, extremely reliable and when coupled with our UniMaxx solar pump stations, make installation, operation, and maintenance of your solar hot water system easier and more affordable than ever before. 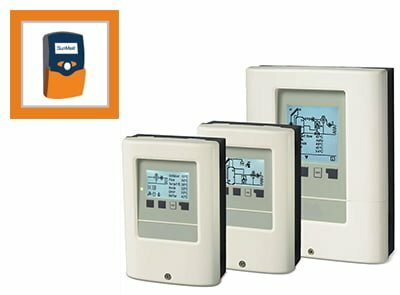 Additionally, our SmartMaxx controllers provide graphical and text information about the operation of your solar hot water system, and the optional Datalogger provides internet access to the performance of your solar hot water system so you can check on your system wherever, whenever.